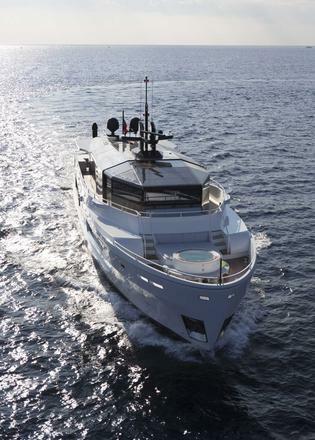 M/Y JURATA, ARCADIA 35.00m holds a green Rina award for ecology. A new way to experience the sea, with innovation and ethical values integrated into the yachts systems, enabling guests to enjoy the sea whilst respecting Nature. 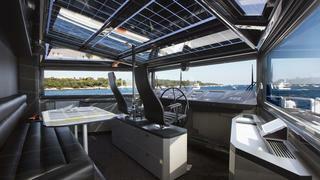 Double Glazing solar panels integrated within the superstructure ensuring maximum comfort whilst re-charging the batteries and powering all utilities and services on-board. 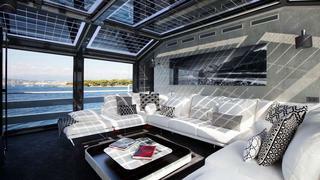 Full beam Master suite forward on the main deck with vanity area and owners study. A large bathroom with Jacuzzi, his and hers sinks and walk-in in dressing area. Two aft double cabins both with en-suite bathrooms. The port side cabin has a vanity/bureau desk. Two twin cabins with en-suite facilities. One Twin is convetible to a double cabin. All cabins have LED 3D TV/ I pod docking station up to I phone 4 / Apple TV / Apple I Pad Mini / Kalaidascape player / Crestron programming. 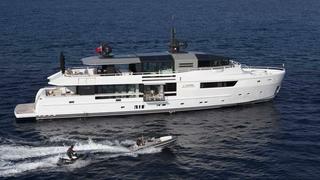 On the main deck aft Jurata offers ample seating leading into the spacious main salon with attached dining area, again with state of the art home cinema facilities. 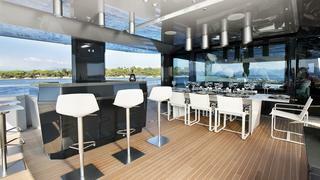 The upper deck offers generous aft seating, a bar area, and comfortable dining for 10 guests. 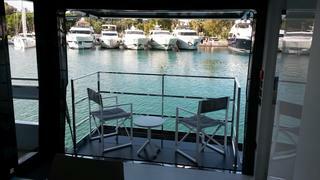 Upper deck midships there is an family room offering panoramic views and state of the art home cinema facilities. 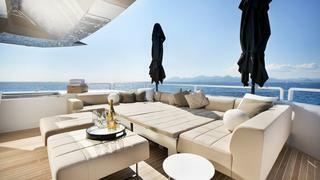 The fore deck boasts a large Jacuzzi and sunbathing area as well as seating just in front of the bridge.